As the recently dismissed Lts. Chance Furlong and Jake Clawson work on a “project” deep in the basement of their scrapyard garage, a new class of cadets prepares to graduate from the Enforcer Academy and the mayor of MegaKat City looks for a new deputy. A young she-kat named Calico Briggs, fresh out of law school, seems the perfect candidate, but she may be more trouble than anyone expects, especially for the three cadets protecting her. And, there are greater forces at work. Greater forces – that no one has ever heard of before, but will be sure never, ever to forget. Greetings one and all. What you are about to read is the first installment in an interminably long sequence detailing several years of events in MegaKat City. 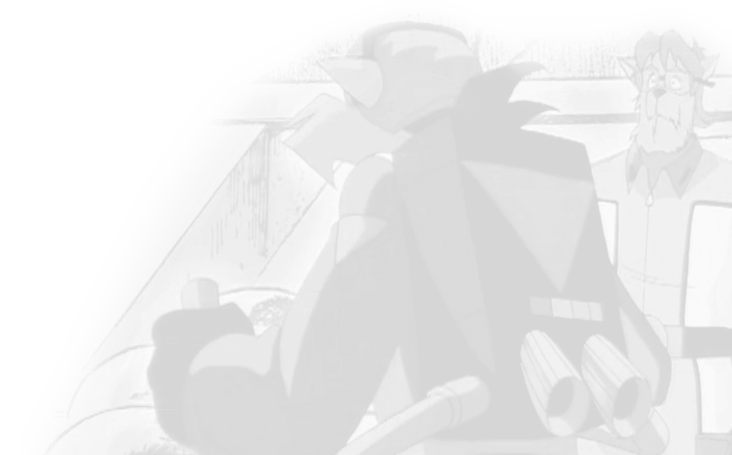 Although this tale in particular does not exactly involve the SWAT Kats, it is crucial to read as it provides the groundwork for future stories. It itself takes place several years ago, almost immediately after the dismissal of Lts. Chance Furlong and Jake Clawson from the Enforcers. They are, as these events take place, working on a “project” deep in the basement of their scrapyard garage. As a new class of cadets prepares to graduate from the Enforcer Academy, the mayor of MegaKat City prepares for the elections, only five months away. It wouldn’t be a problem, except he has lost his deputy mayor to death. Without old Deputy Mayor Rogers, he won’t stand a chance at winning re-election, as it was Rogers who did all the work. He knows he has to find a replacement – and quickly. His choice? A young she-kat named Calico Briggs, fresh out of law school and ready to rise to the top. She seems the perfect candidate for the job… but she may be more trouble than anyone expects, as you, the reader, have seen. That’s all right, however – the Enforcers will protect her. Bound and determined to do this and all other aspects of the job are three finishing cadets: Scotty Angora, Jason Whiskers, and Derek Whitepaws. All three are friends, competing for top honors in their class. We shall see how fate treats them – and how well they treat their fate. But with the three so closely knit and tense, the results of graduation may have greater implications – and never forget, there are greater forces at work. Greater forces – that no one has ever heard of before, but will be sure never, ever to forget. 1. Deposition of Professor Hackle, Ph. D. (physics). “I swear that the following is the truth, as best my facilities are able to present it, and it is the truth in entirety, with no omissions or embellishments. “I have learned in my years that frailty is universal, and that we all have it in quantity. I myself possess it not only in my physical aspects, which steadily weaken as the days go by, but in my will as well. In my years as researcher and inventor with Pumadyne and other government labs, I created many devices, which exist for the purpose of evil. They can do no good. For these years I worked, knowing the consequences of my actions would be the end of the lives of many kats, and still I continued, fearing my own termination and thus selfishly creating weapons of mass destruction, as well as other devices whose intention is the enslavement, ‘correction,’ or murder of innocents. “I have long claimed that the uses of my inventions were not those for which I intended them, and that for that reason I left government work. Such is not the case. What other possible use is there for an indestructible tank than war? A laser that slices clean through feline flesh than to cut? A gun does not have practical purposes in agriculture, ladies and gentlekats. No, I knew what I was doing. I did not leave for reasons of conscience. “It is not that I do not regret my actions over those years. Quite the contrary. I make this tape for the respite of my weathered conscience, in the hopes that katkind might understand the courses of action taken by myself, my supervisors, Commander Feral, and Deputy Mayor Rogers in the events surrounding my dismissal. I did not leave by choice. I was removed, and it was for the reason of the theft of my crowning achievement. “This achievement was my invention, created in the hopes of ensuring success in battle situations. It was a device which, properly implanted in the brain, would allow a kat’s movements to be controlled by another. Only one was created, and it was never tested for the fact that the project was terminated. My supervisors felt that the method of its entry into the brain was dangerous to the subject’s capacity to reason. It would potentially damage key synapses or irreplaceable cells. I obeyed their wishes, but the damage was done when I created it, because I left the device and its plans on my desk, and both were stolen by the next morning. “I reported the happenings to my supervisors, and an immediate lockdown of the laboratory was effected. Headcounts were taken, revealing the disappearance of but one technician, one whose job was to properly clean the labs and to assist in dispersal of chemicals and mechanical parts to researchers such as myself. It is my theory that he stole the device, and I made this clear to my supervisors, who refused to feel at ease in the knowledge that this kat could not possibly ever use the device he had taken. No, they were certain that he would sell the device to DarkKat, or another diabolical individual, and so they summoned Commander Feral, the mayor, and the deputy mayor to discuss the steps to be taken. “Mayor Manx, however, did not arrive. As a result of this he does not know of the device, nor of the threat posed to the security of the city. Deputy Mayor Rogers came in his place, and now, it seems, he has carried the secret to his grave. “It was determined at this meeting by my superiors, Feral, and Rogers that mere knowledge of the breach would cause widespread panic among the civilians, and to keep the facts of the matter contained, they began a sort of conspiracy. I was stripped of my post; all documents or other factors indicating my having been employed there were shredded and burned. It was as though I did not exist at that laboratory. When it was determined that no one else there knew of my work, they were allowed to go on, but could never speak of me. I was allowed to continue private practice here, but I could not do such work as I had. “Meanwhile, Feral launched a private investigation into the whereabouts of the technician, but the investigator was found dead within days, as were all others. So he ceased investigating, fearful that the murders would draw public attention. Rogers took care to erase the technician from all formal records, keeping him in the confidential, secret files in crime and statistics only. This kat would exist only as a shadow, unable to receive medical care or to work. His corpse would be unidentifiable by all records, save those held by Rogers. And so he was gone. Society would never know. “It seems, however, that he may outlive us, having outlived one already. It is my fear that if he does, in that time he may master the device. He may have already. 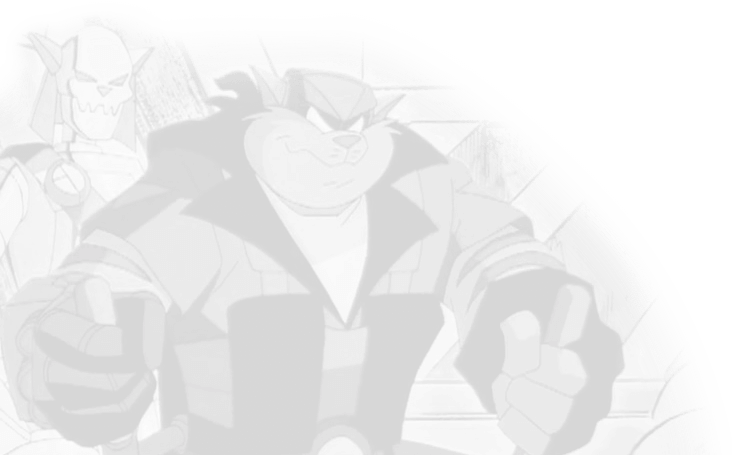 Should he unleash the device on MegaKat City, the results may be disastrous, and he may prove unstoppable. I cannot allow this. I make this tape in an attempt to warn the public, in the event of my death, of what is out there. He is not bound by the morals and guidelines as we are. He is bound by nothing. So far, he has outwitted us all.